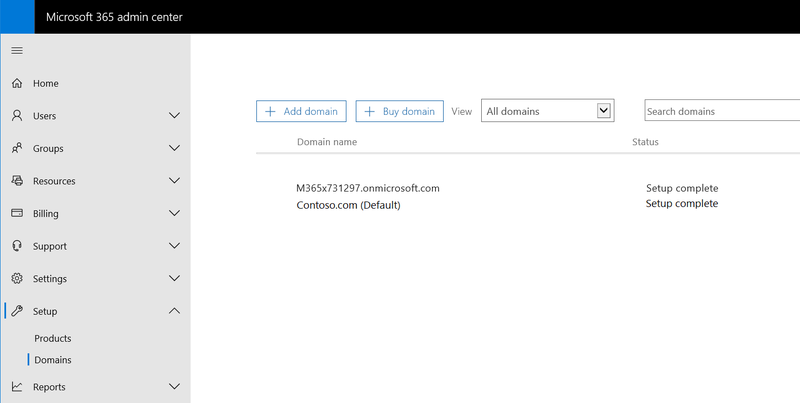 In the past Microsoft cloud consultants they are using the MS cloud demo platform https://demos.microsoft.com are sometimes connecting their own DNS domains to the Office365 tenant. When they delete later the tenant (it typically runs for 90 days only!) and they want to reuse their custom DNS domain in another tenant then the old DNS name is still attached to the old deleted tenant! And they can not attach it to the new tenant anymore. But this can be fixed! 2. Login to https://admin.microsoft.com with your custom name: e.g. admin@contoso.com still works. Same with Azure portal. But you can not use any services from it. Also the licenses are removed for the users. 4. Notice the M365x1234567890.onmicrosoft.com name! 6. Login again with the admin@M365x1234567890.onmicrosoft.com - use your DNS name you noticed from your tenant instead! 9. Now you see in the top menu the option to delete it. 11. Voila you have your custom DNS back for using somewhere else! 12. Now you can exit the admin portal.